History of STOP. THINK. CONNECT. In 2009, the National Cyber Security Alliance and the Anti-Phishing Working Group convened an unprecedented coalition of 25 companies and 7 government agencies, including the Department of Homeland Security (DHS) that leads the campaign in the federal government. Working by consensus, this multi-stakeholder group conducted research and message testing with U.S. consumers, resulting in the creation of the message STOP. THINK. CONNECT. • Creating and distributing broadcast PSAs and videos produced by DHS and other federal agencies. free of charge, including materials translated into five languages. users over a five year period. STOP. THINK. CONNECT. Around the world, the global commitment to communicate and highlight safe cybersecurity practices is in large part due to the international reach of STOP. THINK. CONNECT., which launched its worldwide initiatives in 2011. • The campaign has impacted millions of digital citizens worldwide through collaborative public- and private-sector efforts and expanded its roster of partners with its simple but increasingly vital message. • Complete translation of the website into Japanese: http://stopthinkconnect.jp/. • Integration of STOP. THINK. CONNECT. in Spanish (Para. Piensa.Conectate. ): http://cibervoluntarios.org/parapiensaconectate/ . • STOP. THINK. CONNECT. has partners in Canada, Australia, Panama, the European Union, India, Japan, Mexico and other countries and regions. Safer Internet Day – Join Our Twitter Chat! Safer Internet Day is an awareness-raising campaign celebrated in more than 100 countries around the globe. Safer Internet Day, hosted by ConnectSafely.org in the United States, promotes the efforts of Internet users of all ages, interests and backgrounds to make the Internet a better place – and the world a better place with the help of the Internet. In this #ChatSTC Twitter chat, we’ll discuss our everyday technology use, the benefits and potential risks associated with the Internet and how we can participate in Safer Internet Day. Following the chat, audience members and participants will be invited to stream ConnectSafely’s Safer Internet Day event in Universal Studios live online at saferinternetday.us. Use #ChatSTC to join! 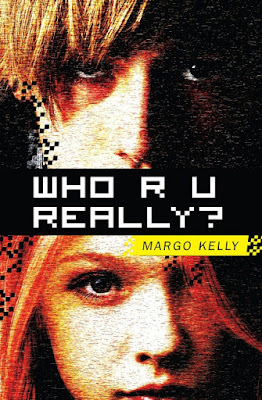 And - remember to utilize the novel, WHO R U REALLY?, in your cybersafety discussions. Industry experts have recommended it as a great resource for helping youth and parents understand the dangers of the predators on the Internet. Available from all major booksellers. 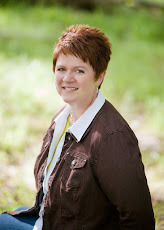 "This book is sure to spark a dialogue between parents and teens..." The Idaho Librarian - review of WHO R U REALLY?. Labels: #cyberaware, Safer Internet Day, STOP. THINK. CONNECT., WHO R U REALLY?